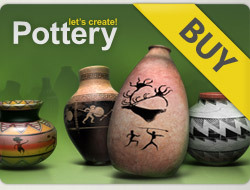 5* x 5 wonderful pots! 5* for newest marvellous piece, Amanda ! I just rated the first 24 astonishing pots from your gallery with 5 stars! HELLO - SWEET AMANDA !!! WELCOME BACK -SWEETIE AMANDA !!! Have a very happy Sunday with your loved ones !! Warm hugs and love !! !